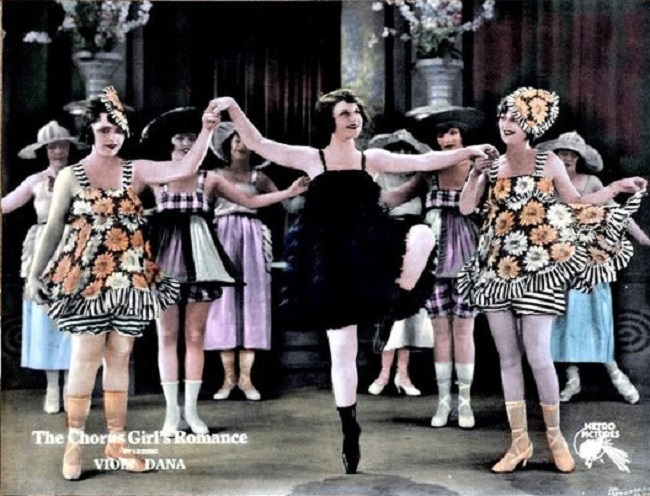 Promotional card for the silent film The Chorus Girl’s Romance (1920), starring Viola Dana and based on the 1920 Fitzgerald story “Head and Shoulders.” Image posted on a Turner Classic Movie discussion board. In June 1920 F. Scott Fitzgerald wrote to the editor of Movie Weekly about The Chorus Girl’s Romance, a forthcoming movie based on a story he had published earlier that year. “The original title of ‘Head and Shoulders’ was ‘The Prodigy’ & I just brought in the chorus girl by way of a radical contrast. Before I’d finished she almost stole the story.” (When he had submitted the manuscript to an agent the previous year, the story had an altogether different title: “Nest Feathers.”) He told the movie critic that this light comic tale was inspired in part by his own adolescence. 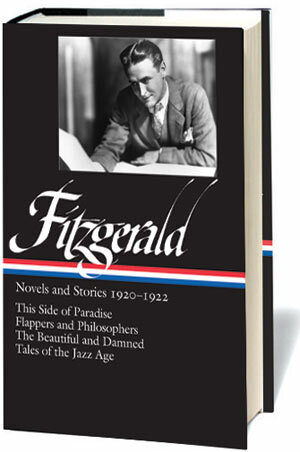 Although Fitzgerald was seventeen—not thirteen—when he went to college, he boasted that he almost became a prodigy himself, having been “one of the ten youngest in my class at Princeton.” About the movie, a vehicle for the silent film star Viola Dana, Fitzgerald added, “I’d rather watch a good shimmee dance than [modern dance artist] Ruth St. Denis and [ballet dancer Anna] Pavlova combined. I see nothing at all disgusting in it.” To his agent, however, Fitzgerald admitted that he wasn’t crazy about the film’s change of title and, presumably, its shift in focus. In 1915 Horace Tarbox was thirteen years old. In that year he took the examinations for entrance to Princeton University and received the Grade A—excellent—in Cæsar, Cicero, Vergil, Xenophon, Homer, Algebra, Plane Geometry, Solid Geometry, and Chemistry. . . . If you don't see the full selection below, click here (PDF) or click here (Google Docs) to read it—free!